'The Castle' is an imposing mansion built in 1892 by Bryon Roger Sherman, and is now the home of the Meagher County Museum. The mansion has twelve rooms all laid with hardwood floors and covered with Belgian and Oriental rugs. In the bathrooms were washbowls and stands of Italian marble, and the light fixtures were of crystal and brass. The Victorian landmark is made of hand-cut granite blocks hauled by oxen from the nearby Castle Mountains. The museum is complete with period furniture, mineral samples, clothing and artifacts from the region's past. Sherman installed a large water tank in the attic, supplied by pump from a windmill in the northeast corner of the yard. In 1894 he enlarged a pond on his ranch that was fed by an abundant spring, and laid a twenty-inch pipe about 150 yards down the hill to a two-story electric light plant that had two dynamos in the basement. The electricity was carried into town on bare wire strung on pine and spruce poles. The plant could run only about six hours before the pressure of the pond became too low. Consumers learned to plan their activities around the 'on' hours, but they could lay claim to living in one of the first towns in the state to have electricity. Sherman didn't live in his stone castle too many years before retiring and moving to California. 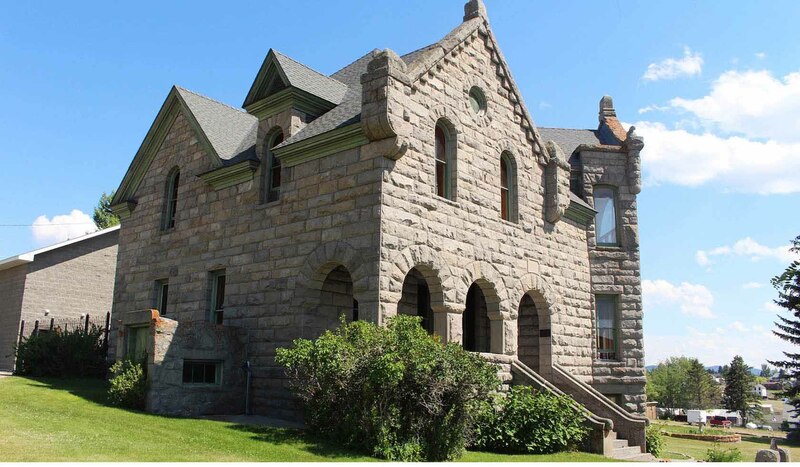 About fifty years later, the Meagher County Historical Society restored the structure to much of its Victorian splendor. The Victorian landmark is made of hand-cut granite blocks hauled by oxen from the nearby Castle Mountains. The museum is complete with period furniture, mineral samples, clothing and artifacts from the region's past. In the 1990s, the group built a large carriage house behind the castle to house the carriages and sleds that had been stored in several ranchers' barns, as well as the old bank, a schoolroom, a stagecoach from the Canyon Ferry line, two horse-drawn fire engines, and saddles, chaps, and mementos from the days of the open range. The Castle Museum is open May 15 to September 15. 10:00am - 5:00pm Last tour begins at 4:30pm. 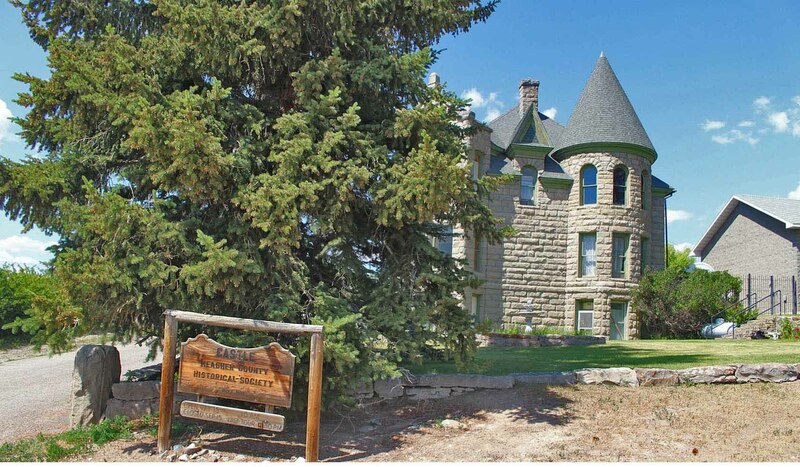 Castle Museum is located between 2nd and 3rd Avenue NE in White Sulphur Springs.